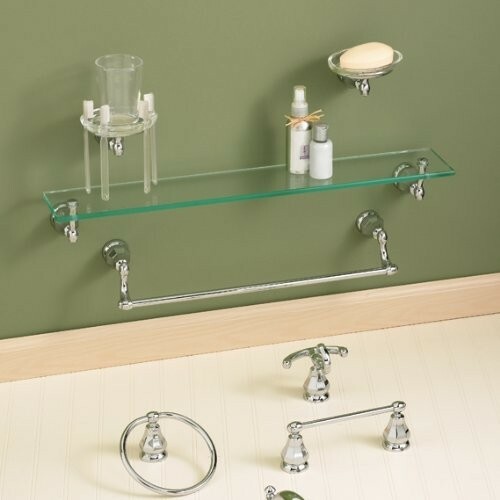 6028180.295 Finish: Satin Nickel Features: -''Drill-less'' wall anchors simplify drywall installation.-Concealed mounting with no exposed hardware.-No exposed set screws.-Highest quality materials for durability & long life.-Concealed Mounting: No exposed set screws.-Towel bar tube - brass.-Body and escutcheon - zinc.-Easy to Install. Includes: -No Measuring Required - instructions and template included. Options: -Available in several finishes. Construction: -All metal construction. Warranty: -Lifetime warranty on function & finish. 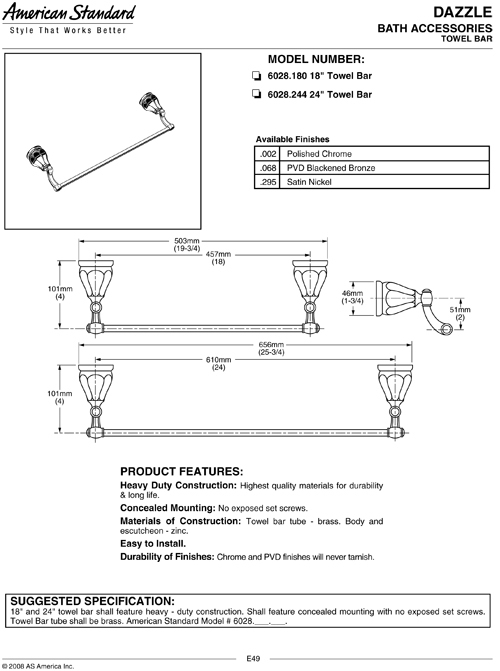 From the Manufacturer American Standard Dazzle 18" Towel Bar in Satin, #6028.180.295. Included instructions, template and "drill-less" dry wall anchors make installation simple; no measuring required. Product features concealed mounting with no exposed hardware, and a lifetime warranty on function and finish.